For a college student, it doesn’t get more hands-on than being a part of a student design team at Missouri S&T. This year’s competitions kicked off in March and won’t wrap up until October. 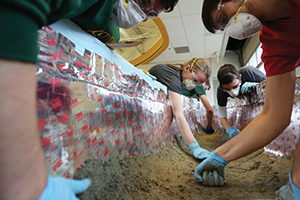 Whether it involves racecars, concrete canoes or traversing Mars-like terrain, design projects offer students a healthy dose of experiential learning. 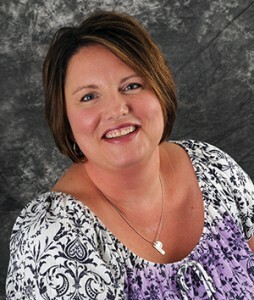 Learn all about the teams at design.mst.edu. 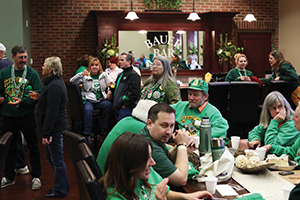 Miner alumni and friends celebrated the 107th Best Ever St. Pat’s in grand style at the Bauer Bar in the newly constructed Hasselmann Alumni House (right). After an official dedication ceremony — complete with a surprise performance by the Missouri S&T Marching Band — guests watched the parade with a prime view of Pine Street from the front porch. Following the parade, guests joined their fellow Miners for complimentary hot dogs, bratwursts and hamburgers. The front porch of Hasselmann Alumni House wasn’t the only coveted spot to watch the parade. 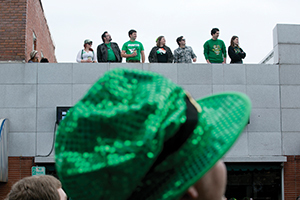 These St. Pat’s revelers (below) took in the parade from above — on the roof of Peacock Stained Glass in downtown Rolla. 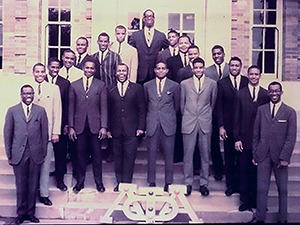 Chartered in 1964 at the height of the civil rights movement, Missouri S&T’s oldest African-American fraternity encountered obstacles on the way to its 50th anniversary, especially in the early years. 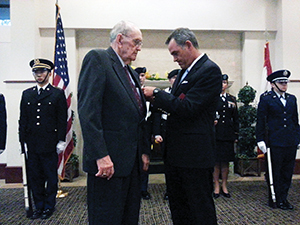 William Shaw, CE’49, a World War II veteran, was awarded the French Legion of Honor, the highest award that France bestows, for his service in helping to liberate France from Nazi control. No matter where we live, what degree we earned, what our careers look like or what our cultural background is, Miner alumni have at least one thing in common: We all need to eat. 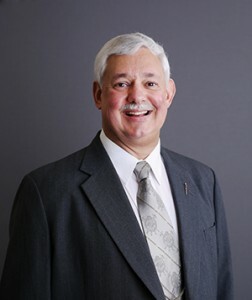 Dennis Leitterman, EE’76, MS EE’77, Bay Area Section president and Area 23 director for the Miner Alumni Association, hopes to bring more alumni into the fold by offering a number of events in the San Francisco Bay Area throughout the year. Missouri S&T Magazine staff asked him a few questions about his section. 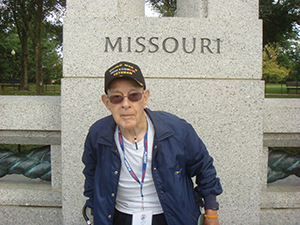 World War II veteran Joseph Senne, MS CE’51, former chair of civil engineering at Missouri S&T, flew to Washington, D.C., in October to visit the national war memorials as part of the San Diego Honor Flight. Senne, who joined the Navy in 1942 as a petty officer first class, was on Okinawa when the peace treaty with Japan was signed on Sept. 2, 1945. His work as a surveyor helped clear Port Seeadler, an important staging area for WWII operations in the South Pacific. Dan Chilton, CE’65, and his wife, Suzanne, wrote Blue & Gray Cross Current, a historical novel set in the Civil War. 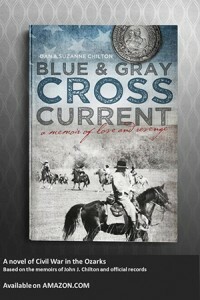 The book is based on official records and true events and characters in Chilton’s family. Profits go to the Shannon County (Mo.) Museum. 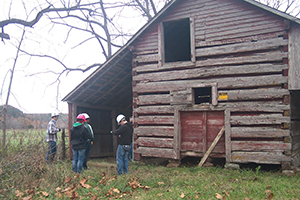 Two Missouri S&T alumni are working on a project more than 150 years in the making. 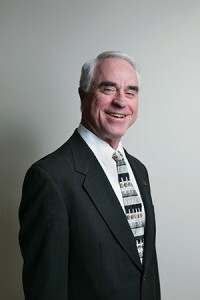 Rich Eimer, EE’71, of Conroe, Texas, retired executive vice president of operations for Dynegy Inc., began his two-year term as president of the Miner Alumni Association in October. Missouri S&T Magazine staff asked him about his plans.